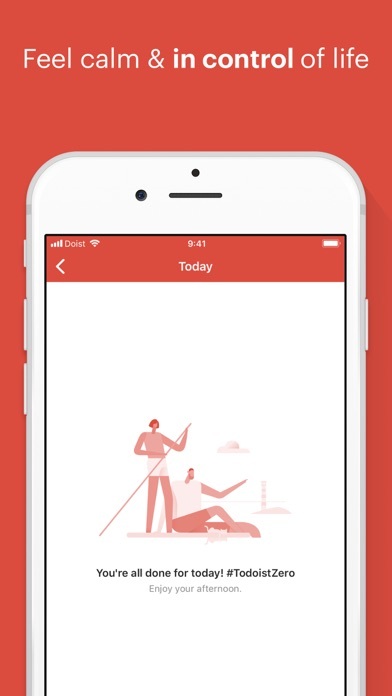 2019: I am back to Todoist again. I don’t know whether Cultured Code will ever expand on Things 3’s features, but I doubt they will. 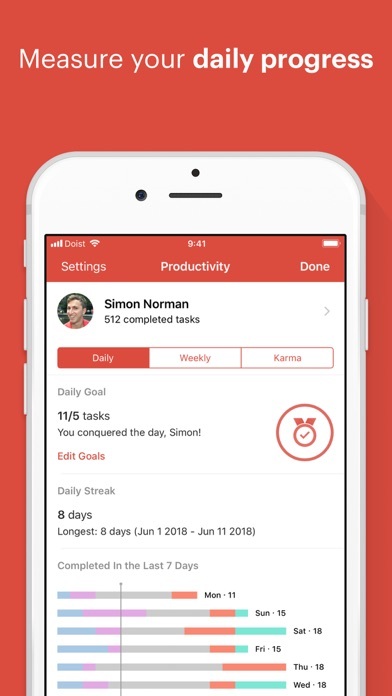 There are many things missing from that app that Todoist offers and I felt that it was time to go back to Todoist. I am enjoying it and feel more productive already. Things 3 is a beautiful app and works very well but the developers seem to limit its functionality and present that as a plus, but I’m not sure I buy into that philosophy anymore. Update: I have switched over to Things 3 and am enjoying it more than Todoist. The interface and features make it faster and easier to use. Todoist is still a good system, but for me Things 3 just helps me get more done. 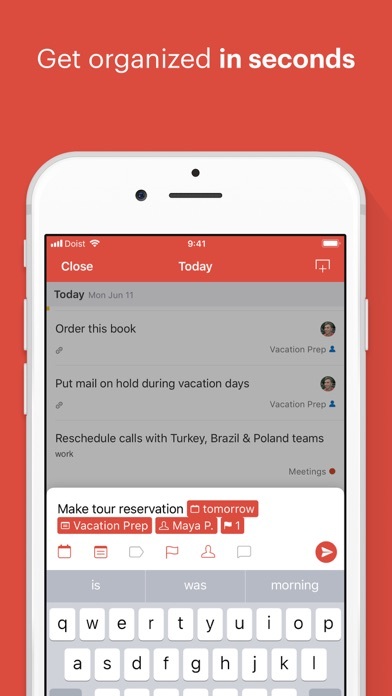 I don't know why there are any negative reviews of Todoist. 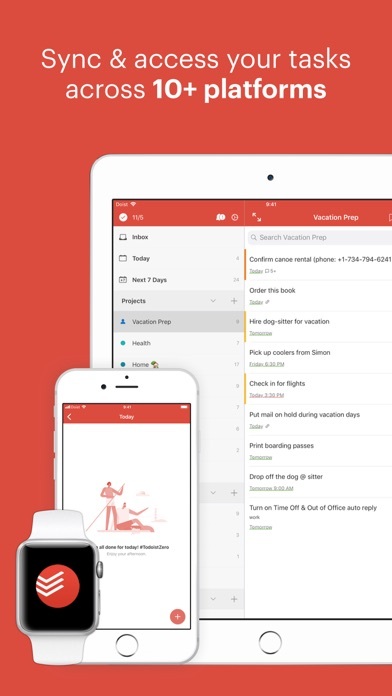 I have bought, paid for, and used Omnifocus, 2Do, Things, and several other apps, but Todoist is just simpler, cleaner and more enjoyable for me. I have the Premium service which is required to gain all the benefits of the service. Using this every day is a rewarding experience because it has so many great features and they are implemented very well. 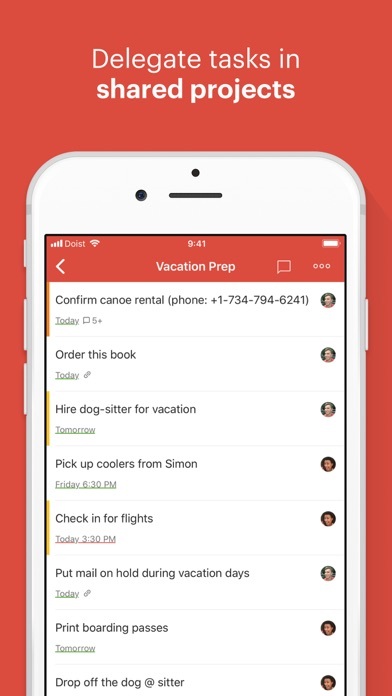 I highly recommend Todoist for it's clean, easy to use interface and all of the options available for entering, sorting, labeling, and completing tasks. It works better than all of the others, in my opinion and my daily experience. I have used this tool for about 5 years. It’s that useful! That good! I use it for work and personal reminders. It’s on my personal and work computers as well as my phone. I have not found a better organizational tool! Beware. Once you install this app you’re inundated with emails. Unsubscribing doesn’t work. Account deletion is the only solution. I use it to share to-do lists with my spouse, lists of movies I want to watch and, of course, groceries. Not a fan at all of recent update where you have to click the circle. Please go back to the swiping.